15 Commercial Real Estate & Properties in Coolangatta are listed in 5 categories. We have 9 Retail ShopsSale , 3 OfficesSale , 1 Medical and Consulting PropertiesSale , 1 Development LandsSale and 1 Hotels and LeisureSale . This is a very rare opportunity to secure a freehold property with this price tag. 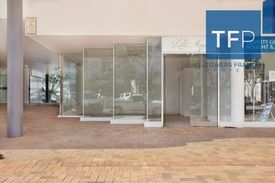 This retail shop is located in prime position in the centre of Coolangatta's retail trading strip. This property is currently leased with attractive return on investment to long term tenant. FEATURES: 56sqm Freehold title Excellent exposure. Amazing potential. Highly desired position for retailers. Bathroom amenities. PRICE: Price on application. For more information contract Towers Francis Property. Outstanding Multi-tenanted Retail / Office Investment $1,550,000 - 7.6% Net Ret.. This fully leased investment is the show piece of the 'Coolangatta Arcade', positioned front and centre this property enjoys double street frontage and demands high exposure. The investment is secured by 4 long term leases, the anchor tenant Montezuma's have been in this shop for 20 years and occupy the retail component. The commercial component is split into 3 separate office suites which are leased to long term established businesses, and enjoy abundant natural light and excellent presentation. INVESTMENT DETAIL: 4 Long term leases (brand new 5 + 5 year lease to anchor tenant) Fixed annual increases for all leases . Net return $117,407 per annum + GST Outgoings paid by lessee FEATURES: Prime corner double street frontage to Griffith Street & Warner Street. Diverse investment offering multiple income streams. Two commercial classifications in one investment (Retail & Office) Low maintenance, easy to manage investment. 100% fully leased. Total floor area 336sqm approx (168sqm ground, 168sqm first) PRICE: $1,550,000 representing 7.6% net return. For more information contact exclusive selling agents Towers Francis Property. For those seeking a permanent holiday lifestyle, with the ability to earn an income, this one is for you! On offer here is not only a fantastic two bedroom ocean side apartment, but also management rights to the "Aries Coolangatta". The boutique "Aries Coolangatta" comprises of 21 lots in total (4 commercial spaces and 17 residential apartments). The common area includes resort style facilities including a pool and spa, plus there is a secure underground car park and a lift for added convenience. The managers apartment is on the ground floor and features an open plan living and dining area which enjoys balcony access, capturing those cool coastal breezes perfectly. There are two double size bedrooms, the master accompanied with an ensuite. The kitchen is complete with a dishwasher and quality appliances, plus a secure underground car space is allocated to this unit. Just meters from Coolangatta Beach, a children's playground & BBQ area, plus within walking distance to all Coolangatta's shopping, dining and entertainment precinct has to offer, location does not get any better than this! Set yourself up with the ultimate lifestyle Contact Ross Smith for all enquiries. This prime positioned retail shop in the centre of busy Griffith Street is being offered for sale now with vacant possession. This shop offers a massive front facade with a corner position, offering a huge window display perfect for retailing. FEATURES 63sqm Huge window display Prime retail position. Excellent surrounding tenancy mix. Ducted Air conditioning Located under 'The Beach House Resort'. Abundant street parking directly out front. High pedestrian traffic flow position. Kitchenette. PRICE: Offers over $499,000 O.N.O. For more information and to arrange inspection contract Exclusive Selling Agents Towers Francis Property. Professional Investment Auction 8 March 2017 at 5.. This commercial office investment property has been home to the same Accountancy practice for approximately 20 years. It is now being offered For Sale with a long term lease in place. 175m2 commercial office space Exceptional location in Coolangatta CBD with ocean views 5 year lease with a 2x 5 year option Current net rental $67,392 4% annual increases with market review at the end of year 4 Fully fitted out by Lessee The property is located in the heart of the Coolangatta CBD with Ocean Views and excellent exposure. Solid investment with long term professional tenant in place on an attractive lease. For further information or to arrange your inspection please contact the Exclusive Listing Agent Greg Watson. Purchase 4 strata titled office / retail suites in one line or individually (only 2 remaining) Sizes from 54m2 ,108m2 up to 270m2 Choice of vacant possession or fully tenanted Positioned on the beach side of Griffith street next to the busy Strand Shopping Centre within the sought after Coolangatta CBD precinct Potential amalgamation opportunity for future high rise development For sale by Offers to Purchase. Please contact the listing agent David Djurovitch Approx Disclaimer: Ray White has not independently checked any of the information we merely pass on. We make no comment on and give no warranty as to the accuracy of the information contained in this document which does not constitute all or any part of any offer or contract by the recipient. Prospective purchasers / lessees must rely on their own enquiries and should satisfy themselves as to the truth or accuracy of all information given by their own inspections, searches, inquiries, advices or as is otherwise necessary. No duty of care is assumed by Orchid Avenue Realty trading as Ray White Surfers Paradise Commercial divisions toward the recipient with regard to the use of this information and all information given is given without responsibility. Retail boutique selling women's clothing and accessories. Caters for 20 45 year old casual trend setting dress wear. Great opportunity to run your own successful fashion store. Turnover $220,000 $250,000 pa. Potential Long standing shopping centre enjoying an increase in traffic due to population and tourism growth in the area. Features Busy shopping centre. Good suppliers This store enjoys a very solid customer base and being located in a tourist area it also enjoys higher traffic rates during holiday periods. Premises Large shop with great visibility, very good window for displays and an area of 78 sqm. Fitted with a new and all quality fit out, 3 big display windows, 5 fitting rooms, computer and music system, LED lights throughout, spacious back room and safe. Location Long standing shopping centre in South Gold Coast area on a main road with strong local and tourist customer base. Trading Hours 7 days Mon. Fri. 9 a.m. 5.30 p.m. Thurs. 9 a.m. 8 p.m. Sat. 9 a.m. 5.30 p.m. Sun. optional, generally 10 a.m. 4 p.m. Lease Current lease expires January 2016 but a brand new 5 year term can be negotiated. Employees 1 owner + 1 casual Comments Boutique womens fashion store operating for 8 years. The owner has been very successful for many years and is willing to train the right person. An opportunity like this does not come around very often as this is a great business for an acute fashion lover.